Home News & Views 8 Train travel tips to stay ahead of Fog! Oh, the winters have arrived! And that means you have definitely started planning for a winter vacation. And when you think about leisure travels in India, train travel is of course the most convenient, cost effective and popular transportation choice. But, while travelling during the winter months you have to account for an unpredictable weather condition – the fog. Oh no, fog chal raha hai! Foggy weather conditions, cause a major disruption in train traffic across India. Though Indian railways are using many anti-fog mechanisms to combat this fog, but somehow it finds a way to delay the trains! So, as an Indian train traveller you must stay ready for fog delays during your long train journeys. You cannot control the foggy weather, but you can control your actions and travel plans. 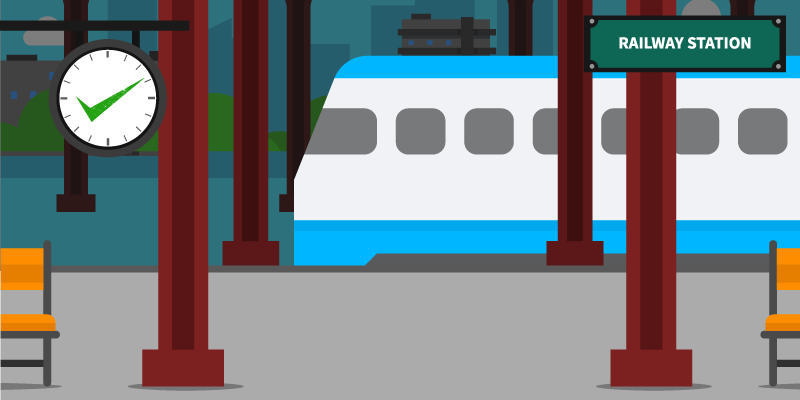 Here are some easy train travel tips to stay ahead of the fog this year. You have to do your part, to minimize the impact of fog delays on your travel plans. How? One good way of achieving this is to book tickets in trains that cover a fair amount of distance during the day (sunshine) hours. Anyone with a bit of understanding about fog would tell you that it stays dense at night and early hours of the morning. So, you should seek bookings in trains that start between 8-10 AM. This will allow you to cover quite a bit of distance when the weather conditions are favorable for a train to speed ahead. Of course, if the journey is long, you will be still delayed by fog but by then you would have got a good head-start. Trains that start late in the evening or at night should be best avoided during winter travels. During the winters of 2017-18, the national delay index of trains in India was an average of 87 minutes. And these were caused by foggy weather! So, it is evident that the train would be delayed. But the real factor is: by what margin? 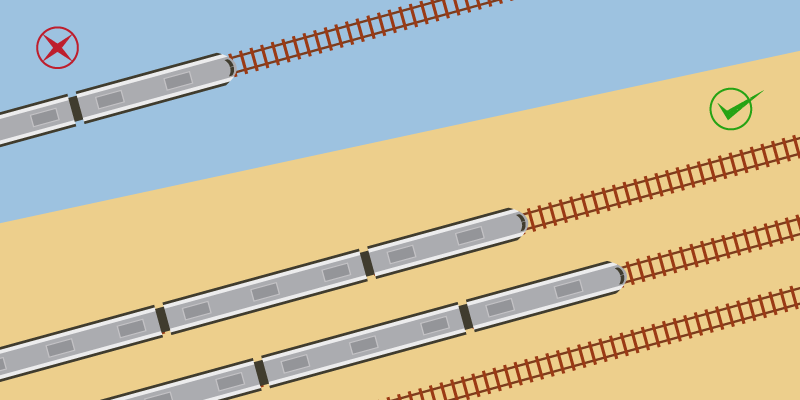 This is why it is important to judge the on-time performance of a train. If a train remains delayed by an hour during the usual weather conditions, just imagine how delayed it would be under the foggy conditions. Similarly, the premium and other timely trains might be delayed by a bearable margin. Conceding the fact that you would anyways arrive late to your destination, it is a good idea to keep some buffer time. Most Indian train travellers get carried away by the charms of their travel destination and plan a hectic trip itinerary that is choke-a-block filled with activities and fun. The problem in such scenarios is that you miss out on some paid activities if you are late. So, the tour package you choose should have at least a buffer time of 2-3 hours, which would suffice for the train delays. You do not want to be stranded without a room in an unknown city, just because the train arrived late. 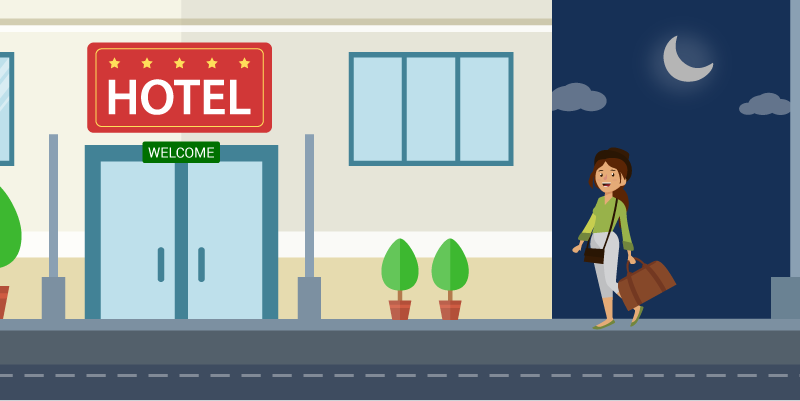 Most of the hotels have a strict check-in time and they are not ready to make special exceptions. This is why you should book hotels where you can check-in at odd hours (middle of the night or early in the morning). Luckily, our hotels offer you that flexibility. By now you know that you have a minimal chance of finishing the journey on time. So, it is important to stock your requisites likewise. There should be some extra provision for food and water. There are many trains that do not have Pantry facility and even otherwise it is always essential to stay prepared for the worst. 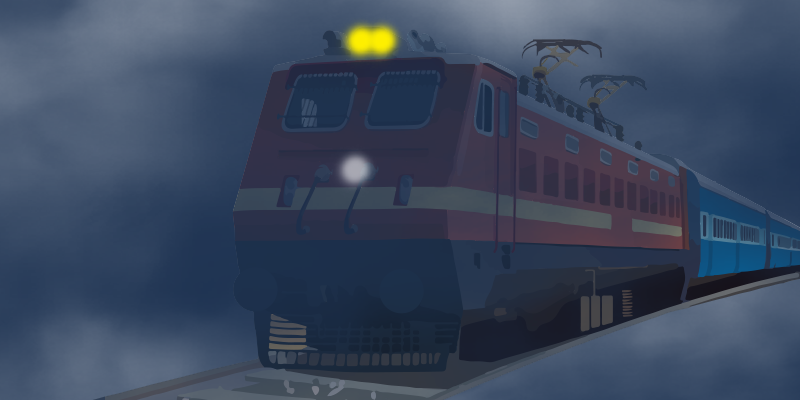 During foggy weather your train might be stranded in the middle of nowhere, so do not bet your penny on picking up supplies from an upcoming station. Re-stock whenever there is scope. Always carry a stock of essential things you cannot readily find at stations (such as milk for baby, medicines, etc.). 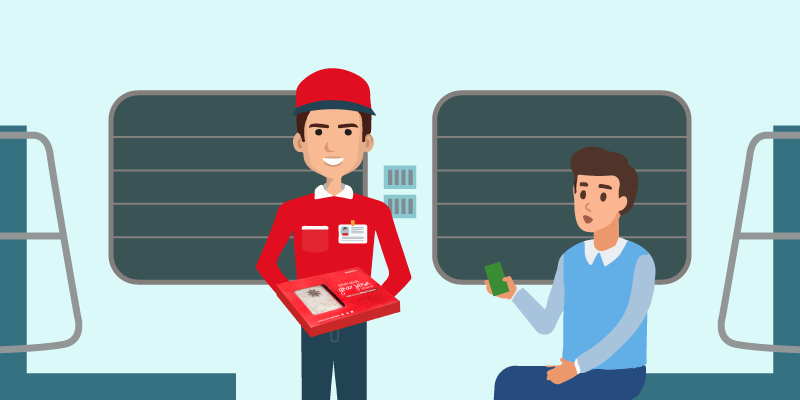 When the pangs of hunger are making you restless, you can always trust RailYatri to deliver warm meals on train. It is easy to get frustrated when your train keeps getting delayed, but this is not the time to sit idle and curse Indian railways. For there are many things that need your attention. If you have booked a cab for onward journey from the station, it is time to get in touch and revise the pick-up time. Likewise, if you intend to use the public transport for the forward journey, this is opportunity for you to access the situation and may be arrange a cab pick-up (if you are arriving late at night or early in the morning). You could also call up your family members and keep them updated about the train’s delay, for Indian parents become restless souls when their ward is on the move! Use our Trip Sharing feature to keep your family members updated on your present location. 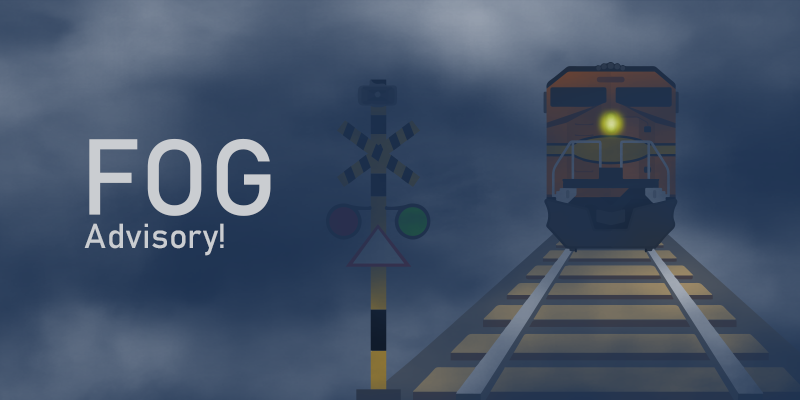 Foggy weather forces the train to make many unscheduled stops and at times this can benefit you. How? Well, there might be an instance when the train makes an unscheduled stop at one of the stations that is closer to your destination than your original de-boarding point. But to use such scopes you have to stay prepared. And the best way to do so is by packing light and using luggage bags that are easy to maneuver or carry. Winters are not the best seasons to plan a trip to nowhere. Your urge to visit a secluded tourist destination should be kept pending for some other season. Plan a trip around places that lie along the popular train routes. How does this help? 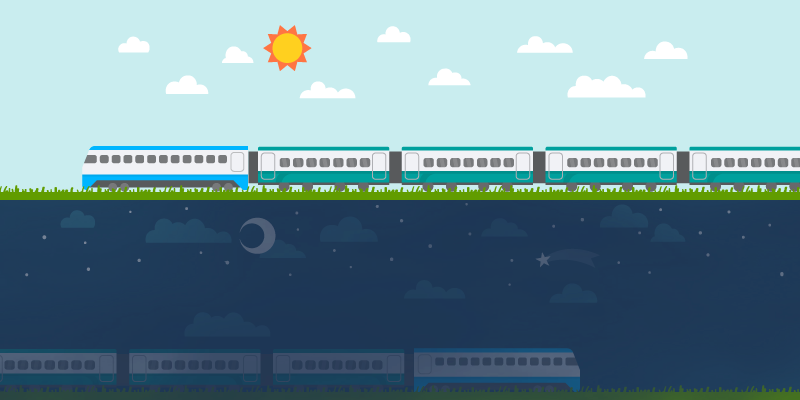 Well, you get a lot of train options and that means you can filter the search (find on-time and day time trains). Destinations that can be reached with Premium trains (Rajdhani, Duronto or Train 18) are the best options. These simple checks can enhance the train travel experience during the fog covered winter months. Hope you would use these ideas. Do write back to us with your suggestions. Previous articleComplete Dehradun trip in 48 hours!